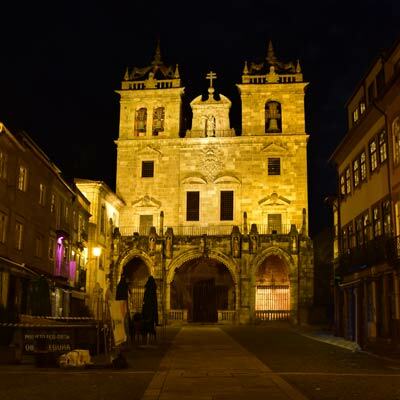 Braga Portugal – A tourism guide fully updated for 2019! Braga is a wonderful tourist destination that combines history and culture, with numerous outstanding tourist attractions. The city is often regarded as the religious centre of Portugal, and this is confirmed every hour when a cacophony of different church bells ring-out. 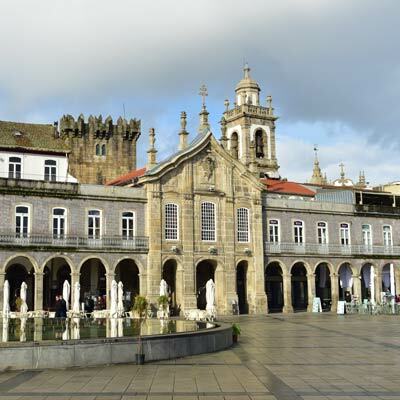 Braga is home to the oldest cathedral in Portugal, and a day’s sightseeing can provide a glimpse into the importance and extensive history of the city. Within the maze of narrow streets, Gothic churches back onto modern shopping streets and grand baroque buildings surround peaceful plazas. Even though Braga is the third largest city of Portugal, it does not have a hectic pace or crowded atmosphere, and is a joy to explore. 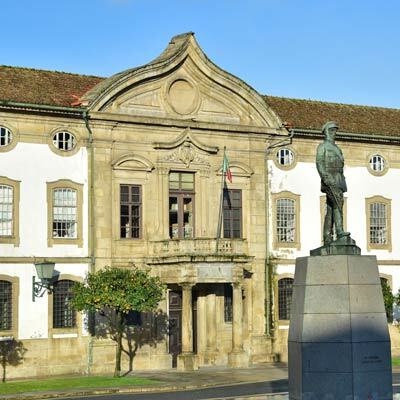 As an important city, Braga has the services, choices and nightlife of a major city, along with a young and vibrant population, as home to one of Portugal’s largest universities. Along with being an enthralling city, Braga is also the setting for one of the finest monuments of Northern Portugal, the Bom Jesus do Monte. 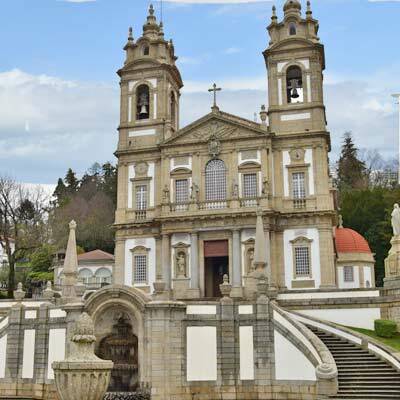 This beautiful church and much famed baroque staircase, which depict the ascent to heaven, are only 5km from the city and are a must for any trip to Braga. 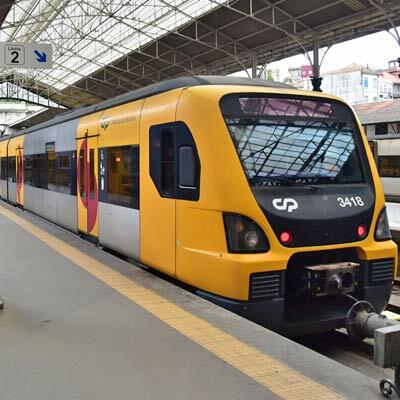 Braga is a highly recommended day trip from Porto, and is easy to travel to, by being connected to the Porto Urban railway. 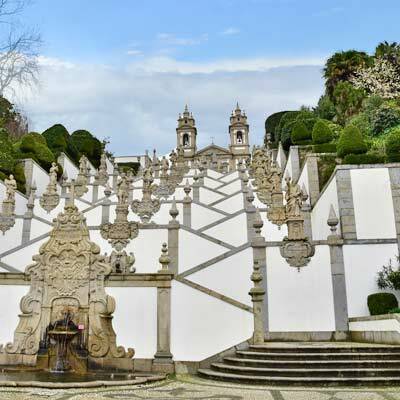 This article will provide an introduction to Braga and is designed for tourists planning a day trip or holiday to this great city. 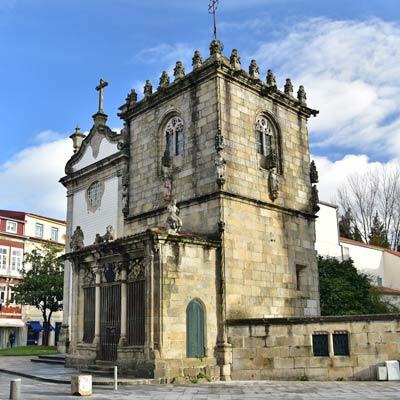 Is there more than just churches in Braga? Braga maybe the religious centre of Portugal, but the city offers more sights than just endless ancient churches. The historic centre is fully pedestrianised and comprises of charming plazas, busy shopping streets, and pretty formal gardens. The city gardens, including the, Jardim da Avenida Central and the Jardim de Santa Bárbara, while each of the main plazas (Largo de Santa Cruz, Largo São João do Souto and the Praça Conde de Agrolongo) has its own unique style and character. Braga is a labyrinth of narrow streets, each one concealing historic sights, unique monuments or traditional family-run businesses. Braga is a destination to explore on foot and simply get lost in. Even the Bom Jesus is more about the decorative stairs, uphill hike and views, than the actual church. Braga obviously has a lot of churches, but these need not be the main focus of a day trip, nor should deter tourists from visiting. Is Bom Jesus worth visiting? The Bom Jesus do Monte will be a highlight of any visit to Braga, and should definitely be visited as part of a day trip. The church stands at the top of a hill and the much-photographed baroque stairways signifies the ascend to heaven. From the summit of the Bom Jesus hill, there are great views over Braga, and the surrounding park offers relaxed forested walks. For those who don’t fancy the steep pilgrimage hike up to the church there is the world’s oldest water-powered funicular. Sacred Way staircases represents the ascent to heaven, and 580 steps is a lot in the summer heat! How about a day trip? 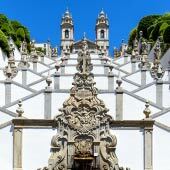 Braga makes for a fantastic day trip from Porto. 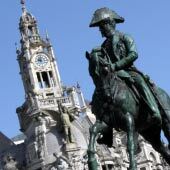 There are sufficient sights and attractions to easily fill a day’s sightseeing, and there is a direct train service between Braga and Porto. 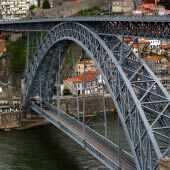 For details of travelling from Porto to Braga, please see later in this article. 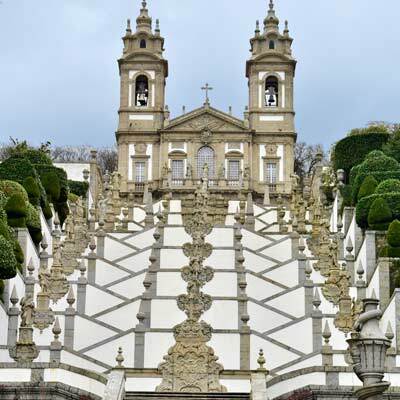 It is possible to combine Braga’s historic centre and the Bom Jesus complex (which is 5km out from the city centre) in a single trip, but it will be a long day (8-9 hours). 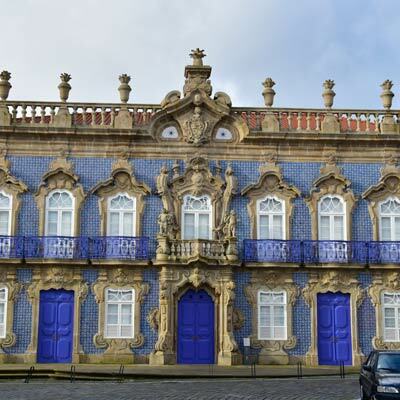 This is divided into; 1-hour train ride (each way), 3-4 hours in the historic centre, 2 hours at the Bom Jesus do Monte and 30 minutes for lunch. 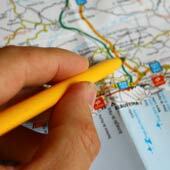 For a full guide to a day trip including a suggested 1-day itinerary, please click here. 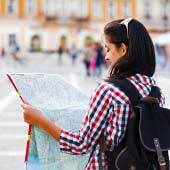 * A rental car is needed for these day trips either due to the distance to lack of public transport. What about a longer stay in Braga? A rushed and intense day trip will only skim the surface of Braga, and a stay of two full days is the recommended length of time to discover the city. 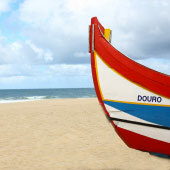 In this time allows for one day to explore the historic centre and a second to visit the hill churches of Bom Jesus, Santuário do Sameiro and Igreja da Falperra. 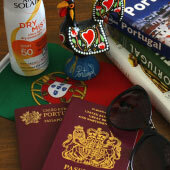 Braga could be a base for a longer holiday, and the city has a wide selection of restaurants, shops and good nightlife. 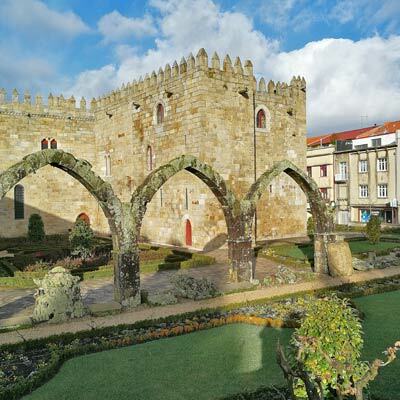 There is excellent public transport covering the surrounding region, and day trips could include Guimaraes, Viana do Castelo and Ponte de Lima. 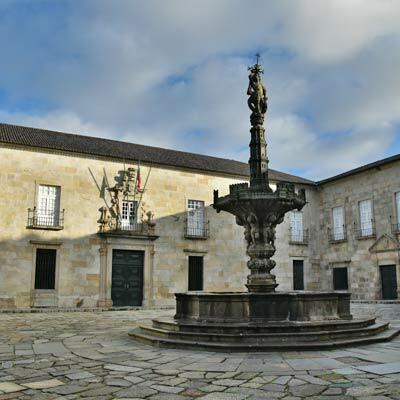 The historic centre of Braga is compact and can be easily walked. When selecting a hotel, it is advisable to be within 700m of the Se Cathedral (GPS 41.5499, -8.42699), so that you are close to the historic sights and a decent selection of restaurants and bars. An alternative suggestion for a more scenic setting is to stay at the top of the Bom Jesus hill (GPS: 41.55476, -8.376718). 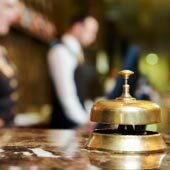 For a guide to the best hotels in Braga, please see Booking.com. 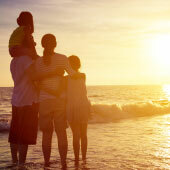 There are much better destinations for young children and families. Families will be fully welcomed, but the majority of the main attractions are of a historic or religious nature so will have little appeal to children. 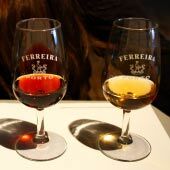 How to travel from Porto to Braga? As the trains are so convenient and frequent, there is no reason to consider bus travel. For visitors travelling to or from the airport should use the Getbus service, which takes 50 minutes and costs €8.